Fendi pumps in colorblock mesh with signature FF print. 0.3" flat heel. Pointed toe with contrast stripes. Wide, trekking padded slingback. Leather sole with rubber tap. "Colibrí" is made in Italy. 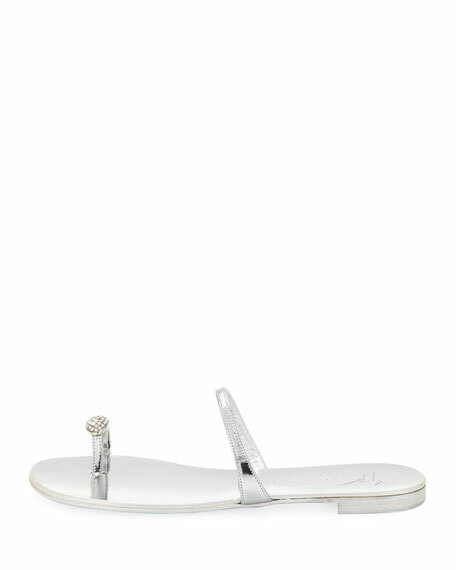 MICHAEL Michael Kors coated fabric driver-style flat. 0.3" flat heel. Round toe with tonal logo medallion. Slip-on style. Topstitched heel guard. Quilted footbed. Rubber outsole. 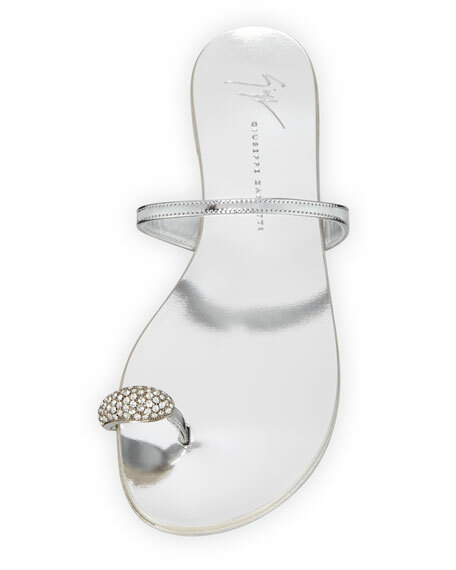 Off-White leather sandal with zip-tie inspired ankle-wrap strap. 0.5" flat heel. Toe ring strap. Transparent PVC center strap. Embossed logo on tag. Signature striped footbed. Made in Italy.